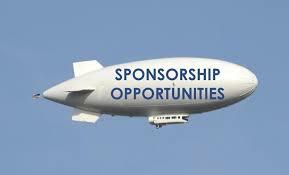 Once you’ve secured sponsorship and collected the money that has been offered to you it’s time maximise the recognition of your sponsors, this will also keep your sponsors extremely happy and make continued support much more likely. If you’re looking to find out some information from real professionals then check out the guys over at Generate Sponsorship. You can’t simply rest after you have collected all the money from your sponsors, you must make sure that you really get to work after the cheques have been cashed. Putting in the hard work now will ensure that you have an easier time when it comes to finding the next batch of sponsorship for an event. All fundraisers will tell you that keeping a healthy relationship with your main sponsors makes your life much easier and takes a lot of the stress out of an event. Raising funds is always stressful so make sure that you take in the below advice, let me know how it works for you while you are planning your next event. I would love to hear your opinions – all you have to do is put them down in the comment box below this post. Here are 4 fantastic ways to provide the visibility that your sponsors will love! At your event you need to make sure that you mention all of your key sponsors when you make your introduction speech. The names and logos of your sponsors need to placed in areas which are visible to all attendees – you can do this using banners and also signs. If you’re holding a reception or hosting a meal then playing slide shows or looping videos listing your sponsors is also great. In your event directory you need to list your sponsors. If you’re being very hi tech then your event app should have a thank you page to the sponsors. By adding a few little perks for your sponsors can really go a long way. A fantastic way to thank sponsors is by holding a private reception during your event. You can go one step further by making it very exclusive and invite along VIPs and important clients. I love the idea of sending a personal letter to thank the sponsors. In the letter it is important to go into detail about why the sponsorship was important for you and your event.